In September, analytics on Belarus both at home and abroad almost entirely focused on Zapad 2017 military exercises and related issues of security and defence. Arciom Šrajbman claims that Russia showed Belarus the ceiling of its independence, Jaŭhien Prejhierman responds that rumours about these limits are exaggerated. Andrej Jahoraŭ explains why Belarus was not occupied during Zapad 2017. Belarus in Focus notes that the military drill prompted a heated discussion about national unity. Zapad-2017 was also discussed by Bloomberg, ECFR, the National Interest Magazine, American Enterprise Institute and Lithuanian EESC. Rumors About the Ceiling of Belarusian Independence Exaggerated – Jaŭhien Prejhierman, at TUT.BY, argues with a journalist Arciom Šrajbman and states that the limits of Belarusian sovereignty are determined not by Moscow or Kiev, but Minsk’s own ability to pragmatically manoeuvre between conflicting interests of neighbours. In fact, Zapad 2017 exercises showed that Belarus does not know how to effectively act in the information wars. Why We Were Not Occupied. What Zapad 2017 Was About – Andrej Jahoraŭ, at Belarusian Journal, notes that the military Russo-Belarusian drills are over; no occupation took place. According to the expert, the most important things occurred in the information sphere. Zapad 2017 is a doctrine of a consociational war, with an empirical test of the parties’ reactions to information moves and attacks. 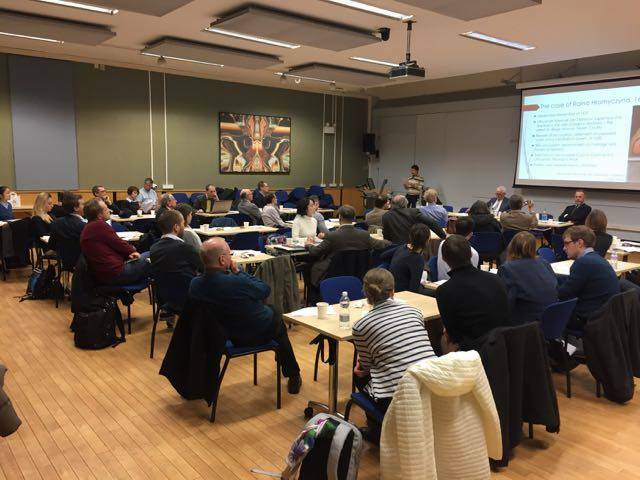 Belarus Is Shown the Ceiling Of Its Independence – Arciom Šrajbman, TUT.by, draws attention to two events of the last month, which remind the real limits of today’s Belarusian sovereignty. The journalist means an incident with a young Ukrainian Pavel Grib who was detained in Homiel and moved to Krasnodar detention centre and thousands of Russian soldiers who entered Belarus for the military exercises. Belarus Is the Real Victim of Russia’s Zapad War Games (Op-ed) – Jaŭhien Prejhierman, The Moscow Times, notes that this year’s hype around Zapad 2017 exercises, obviously, reflects the West’s deep mistrust for Russia and its military. The analyst believes that Russia and the West need to understand that it is in everyone’s strategic interest to keep Belarus as a neutral ground for peace talks and not a part of the Russian-Western confrontation. Putin Pointed out to Lukashenka His Place – Aliaksandr Aliesin, a military analyst, believes that Putin and Lukashenka separately inspected Zapad 2017 exercises because Russia wanted to show Lukashenka, that he is not an equal partner. The military exercises sharpened the contradictions between Russia and Belarus, while Lukashenka is still trying to play independence. Situation In the Field of National Security And Defence of Belarus. August 2017 – According to monthly monitoring of Belarus Security Blog, the most important event of the month was the kidnapping of a Ukrainian citizen Pavel Grib by Russian special services in Homiel. Provocation was intended to cause a crisis in the Belarusian-Ukrainian relations. Zapad on Belarus’ Mind – A non-paper of the 7th Belarus Reality Check analyses the recent developments in EU-Belarus relations and concludes that Minsk will try further building trust with the West, and continuing to work with and appease Russia, as its only ally. Organised by EESC, the 7th Belarus Reality Check took place in June 2017, in Vilnius to contribute to the policy debate in and outside of Belarus. 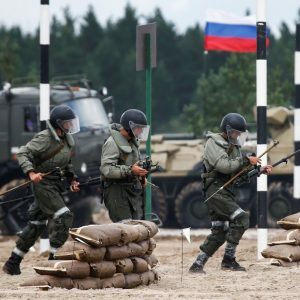 The Zapad Military Exercise Reveals Putin’s Fear – Leonid Bershidsky, Bloomberg, considers the large-scale Russian military exercise known as Zapad, which started in Belarus on 14 September, as a propaganda success: it has alarmed Russia’s NATO neighbours and garnered so much Western media coverage that one might think it was an actual combat operation. It has also provided an important insight into the fears of the Russian and Belarusian rulers. So Far From God, So Close To Russia: Belarus and the Zapad Military Exercise – Fredrik Wesslau & Andrew Wilson, ECFR, consider that fears that Russia may use Zapad 2017 as cover to carry out a hybrid operation in Belarus are overblown. Moscow has other levers with which it can coerce Minsk, and it neither needs nor is interested in another military adventure at the moment. Zapad 2017: What It Reveals About the Prickly Russia-Belarus Relationship– Bruce McClintock & Bilyana Lilly, The National Interest Magazine, suppose that the Kremlin has little to gain from using Zapad 2017 as a pretext to establish the military presence in Belarus. Belarus continues to view Russia as its principal strategic military partner and seems likely to do so in the future. 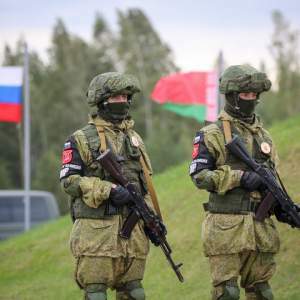 Belarus’ Susceptibility to Russian Intervention – David R. Marples believes that Russia’s overriding geostrategic goal in Belarus is to keep a stable, relatively pro-Russian regime in power. Therefore, the chances of a Russian military intervention in Belarus are low for the near future. Zapad-2017. Who Will Benefit From the Russian-Belarusian Drills – Arciom Šrajbman, Carnegie Moscow Centre, believes that despite all the reputational risks, Minsk will try to derive maximum diplomatic benefit from the military drills. On the one hand, Belarus shows to Western observers that they can trust to Minsk’s guarantees. On the other hand, Belarus will convince Moscow that it does not ‘follow the path of Ukraine’, not being afraid to host large-scale exercises with Russian troops. West-2017 Russo-Belarusian Military Drill Causes Controversy in Belarusian Society – Belarus in Focus notes that the September military drill prompted a heated discussion in civil society about national unity. 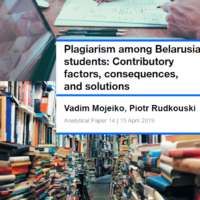 The fact that the Belarusian authorities keep alternative political views exclusively outside the political system has increased the risks of external influences or interference in domestic political processes with possible destabilisation. West-2017: Facts and Analysis of Threats – Ihar Tyškievič, the Ukrainian Institute of Future, argues whether there is a danger for Ukraine because of the joint military drills between Russia and Belarus. He concludes that the exercises will be held as they are publicly stated, and media noise will go away. Indicators of Belarus export activity in the 1998-2016: what are the chances for growth? The work analyses the indicators of export activity of Belarus in 1998-2016. It studies how the structure and complexity of the country’s export basket, its competitive advantages, penetration to foreign markets and inclusion in global value chains changed over the period. Poverty and vulnerable groups in Belarus. Consequences of the recession of 2015-2016. This issue of the ‘Review of poverty and vulnerable groups in Belarus’ is dedicated to the analysis of various aspects of absolute and relative poverty in the Belarusian regions. The study was carried out on the basis of sample surveys of living standards of households in 2013-2016.